When I think about what has now been deemed as “classic rock”, a lot of different feelings and images are conjured up. But the number one imagine is always going to be that of a few burn out dudes riding around in a cool car in Richard Linklater’s legendary film Dazed and Confused. For myself, and I’m sure a lot of other kids growning up in the 90’s, this was how we learned about what “classic rock” music real was. I know I’m not the only guy who would watch this film with their father and ask a zillion questions about the music we were hearing. This film alone introduced me to so much of the amazing work that came around in the 1960’s and 1970’s. This is also when I learned that some of the best music in America at that time, was actually coming from across the pond from a country that I had no idea as a nine year old kid that I would eventually call home. I am of course talking about the nation of Great Britain. England. You know. And when you think about “classic rock”, or Dazed and Confused, or the “British invasion”….one brilliant band really fits into all of these sectors, and I don’t know how you couldn’t have already figured out who I am talking about. I am talking about Foghat. This is a band that holds not only a special place in my heart, but a special place in Dazed & Confused, with their single “Slow Ride” being a stand out feature of the film. No matter what happens in life, I know that Foghat is always going to be one of those pure, original, and absolutely amazing bands that will continue to stand the test of time. And ladies and gentlemen, we are fortunate enough to have one of their founding members with us here today at Trainwreck’d Society. Tony Stevens was there from the very beginning of Foghat. He spent years in their earliest renditions of the band, would eventually leave only to return a couple of decades later, and leave again to form a different and far more complex version of the band under a new name. But, we will obviously discuss all of that in the conversation below. Just let it be known that Tony Stevens very much IS rock and roll. He has been on the road for over 50 years, delighting audiences across the globe. When it comes to the world of rock and roll, there is very little this man hasn’t already conquered and lived to tell about. So with that, how about I stop rambling, and share these amazing words from the brilliant musician, Mr. Tony Stevens! What were those early days of Savoy Brown and Foghat blowing up to be the legend that it has become today? I am always fascinated about the times prior to gaining such success. So how was that? Long and arduous. Travelling up and down the motorways with Savoy playing small clubs and blues bars. We did festivals in Germany with the Moody Blues and The Nice, then over to the States for our first American tour playing small clubs and blues bars De ja vu. It culminated with three of us leaving Savoy at the end of 1970 and formed Foghat. For a year and a half the three of us funded the band with our new guitarist, Rod Price, being paid a wage. When we got our record deal with Bearsville Records it was manner from heaven. I’ve heard through biographies and stories about the explosion and love for American blues that occurred in England during the 1960’s, and the ways you were able to collect certain sounds in those pre-internet times. But, I’v never had the chance to ask about it directly to someone. So how about it? How did you become interested in not only listening to American blues music, but wanting to perform it as well? Well I was playing the Blues, albeit on lead guitar, when I was 13. I had a band called the Down and Outs and the singer/ harmonica player had an amazing record collection We were playing stuff by Howling Wolf, Muddy Waters,Joe Turner and Josh white to name but a minimal few of our repertoire. I think I can say that the Americans boycott of great Black artists drove their sound to England, on the radio, to the likes of John Mayall, Alexis Corner,The Stones and Beatles and Long John Baldry and many, many more of Blues Rock bands..ala..Savoy Brown. We took the American sound and turned it round, gave it power and sent it back to you through the Stones and Beatles. All of a sudden, America was listening and wanted to know the roots of those groups music. It still was a hard task for the black artists to be accepted but England seemed to pave a way. Chuck berry being the most copied of his music by us Brits. 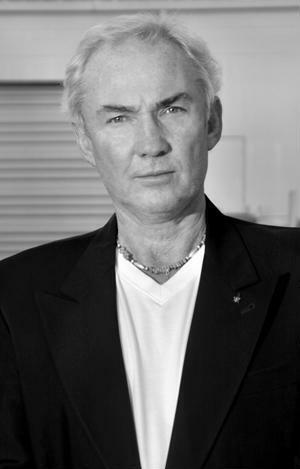 I understand you also worked on the legendary project from The Who known as Tommy. This production still remains as a classic in my heart, as well as with the millions who watched and heard it. I am wondering if you wouldn’t mind telling us a bit about this project? What were some specific details you put into it, and what makes you most proud to have been a part of it? Also, I was involved with Andrew Lloyd Weber on the original album( Cast and Stage show )of Evita. Julie Covington and David Essex to name but a few of the star studded cast. Great Fun and Lord Weber, as he is known now, was a true gentleman. After all the time that has past, what compelled you to return to the Foghat world by forming your latest band, Slow Ride? And what has it been like to get back into this world? You might have heard many stories of what happened between me going from Foghat in 1975 and then rejoining the band in 1993 and leaving again in 2005 to form Slow Ride. Phone me Ron and I will give you the undiluted facts. In basic: Trust and Ego were the biggest problems. In your obviously professional opinion after decades in this business, what would you say is the most pivotal moment in a live performance? Is there a single element that is absolutely necessary to exist when you are performing? Or a collection of several different smaller elements perhaps? Basically, what makes for a perfect live show for you? Really Ron, I think it is not the size of the gig or stadium ( we played to 250,000 fans in Evansville Indiana in the early 70s ) For me, after 50 years of touring this year, has to be the fun you have with you fellow musicians on stage. Slow Ride is my pinnacle of musicianship mixed with high jinks. It really was not their for the latter part of my stint in 1974/5. It was there, always, with Dave Peverett. He was a gem but, after he died in 2000, the band lost it’s sparkle and Egos took over. One of many reasons to form Slow Ride. Recently you performed in my hometown of Longview, Washington at their highly anticipated annual event known as Squirrel Fest. Was there anything exceptional about this event, or was it simply another gig? Ron, The weekend that we spent in Longview was great, great great. From the time we got off the plane and Don, our man of the moment, took us to Saltys’ for dinner. Then to the Montecello hotel. A great 30s/40s hotel that is being revamped back to its former glory. Then, with no more that a 100 yards to walk to the stage for a sound check Then, off to a pot farm and shop…the rest is censored. Lunch, and back for the old men to take a nap before treating the 7,000 fans to some ” Gut ole Rock n Blues. Next day, breakfast then a fantastic trip to Mount St. Helens. What a trip. Back to the airport and waving bye bye to Washington State. Again, I must thank Don and Peter for their time and unending kindliness. I loved the Squirrel Bridges. Always with Slow Ride it is a ” Watch this Space “situation. Unfortunately, our agent was diagnosed with Lukemia and had to undergo Chemo. Our heart is with him. 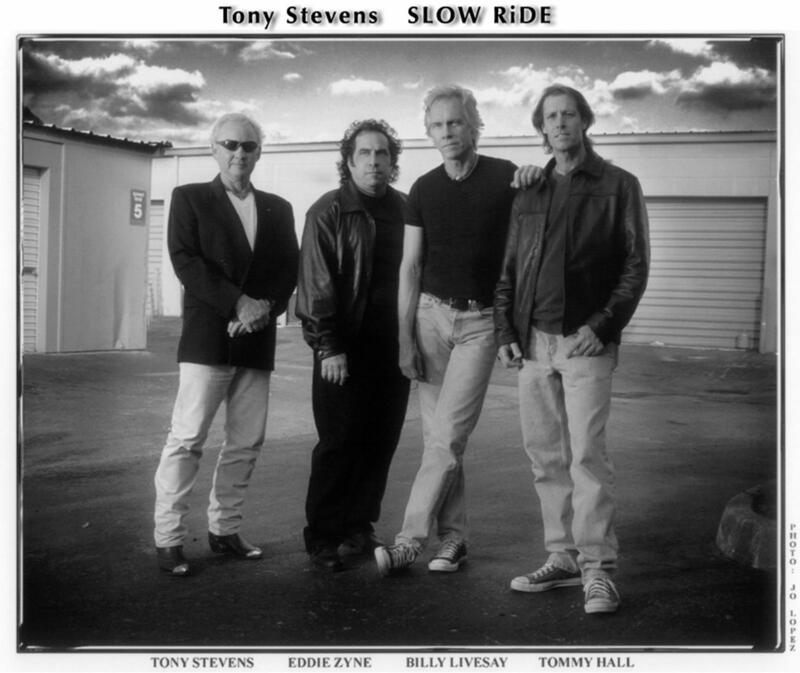 Cool interview… but….You realize Tony Stevens wasn’t even part of Foghat when they recorded Slow Ride, right? Seems strange to name his band that. You are right Jenn. I had left the band for the first time when Slowride was first recorded but, if you go to the Foghat live record, Road Cases, you will find my smiling face on that recording.